Libraries Just Aren't What They Used to Be. They're BETTER! Find out why in this Faculty workshop. Join us for a faculty workshop about what's new in the Library on Thursday, November 8, 2007 from noon until 1:30 p.m. in RT 502. In addition to all the traditional resources, the Library continues to improve by offering new and exciting services. Come find out how to do research while you sleep, check-out a book without leaving your home or office, keep track of all your Library materials in one place (even non-CSU materials), and much more. To reserve your seat, please call(216) 875-9734 or email b.florjancic@csuohio.edu. There will also be a light lunch and door prizes. Permanent link to this topic. Posted 2007-10-31 15:51:15. Reply to Barbara_Loomis. Categories: Library News. Now on display in Special Collections are photographs of Polish Americans of Cleveland in celebration of Polish American Heritage Month. The exhibit includes photographs of the Polish Cultural Garden and Cardinal Karol Wojtyla's (Pope John Paul II) visit to Cleveland in 1969. The photographs will be on display until November 7, 2007. For more information about Polish Americans of Cleveland, visit http://www.clevelandmemory.org/polish/. Permanent link to this topic. Posted 2007-10-31 14:53:31. Reply to Lauren_Felder. Categories: Cleveland Memory, Library News. The campus community is invited to attend the 19th Annual Scholars and Artists Reception honoring faculty, staff, and emeriti creativity. The event, sponsored by the Friends of the CSU Library, will be held on Thursday, November 1, 2007 at 3:00 p.m. in the Special Collections room on the 3rd floor of the Library. This year's keynote speaker will be Dr. Joanne Goodell, Professor of Teacher Education. She will discuss aspects of her own research and grant activities in a presentation titled "Reforming the Teaching of Mathematics and Science Education: A Personal Reflection." 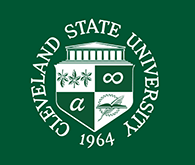 During the reception, guests can enjoy hors d'oeuvres and browse the display of recently published books, scholarly papers, art, music, web sites, and other works by Cleveland State University faculty, staff, and emeriti. Faculty, staff, and emeriti are encouraged to submit materials they have published in the past year. Call 216-875-9734 or send an email to b.florjancic@csuohio.edu for details about submitting your works or for more information. Permanent link to this topic. Posted 2007-10-16 14:54:12. Reply to Barbara_Loomis. Categories: Library News. The Library will be open on October 8, 2007 (Columbus Day) from 12 p.m. to 10 p.m. Click here for the Library hours. Permanent link to this topic. Posted 2007-10-02 08:43:28. Reply to Tracy_Kemp. Categories: Library News. Showing posts from October 2007 only. Display other dates.